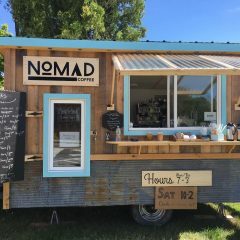 Nomad Coffee is a mobile coffee Shop and espresso bar for hire. We have removed the online order functionality. Due to the intermittent cellular data connectivity in Essex Junction & the hardware restrictions we have to deal with we've decided to remove our pre-order option at Nomad Coffee - Essex Outpost. We understand that will impact some of our customers who have relied on that function but our inability to execute well and letting down customers due to factors beyond our control is not something we want to do. So we've decided to stop the program. 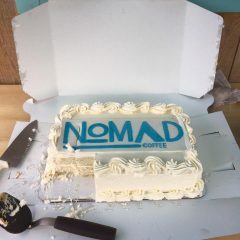 If you'd like to book larger orders of airpots of coffee for the office or espresso bar catering, please reach out to us at hello@nomadcoffeevt.com with a day's notice and we will be happy to help you. & builds community in Essex Junction, VT.
Hey! Want to work in specialty coffee? which will provide long term learning and education in the special coffee industry are encouraged to apply. Once upon a time Nomad was a 1970’s travel trailer. We rescued him from an apple orchard in Ithaca, NY. 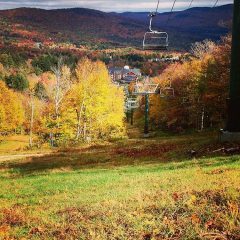 Nomad arrived in Vermont in the late fall of 2015. Our vision was to retrofit the camper but as we embarked on this mission things became clear, Nomad was to be stripped down to the chassis and custom built from the wheels up. In June we launched a crowdfunding campaign to help us get our startup funds and we were able to raise 1/3 of our total needed funds. 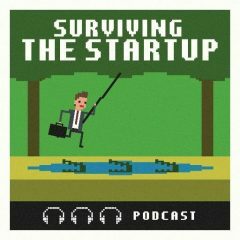 Since then we've poured all our energy and resources into Nomad and have just opened for business. Come down to the 5 corners and say 'hello' and grab a great espresso. We look forward to meeting you!